Turtle Ridge homes are located just east of the 73 freeway in Irvine, California. The Turtle Ridge community is located near the city limits of Newport Beach and boarders the luxury Shady Canyon neighborhood. There are a total 14 different communities in Turtle Ridge with a majority of these communities located behind a secure gaurd gate. 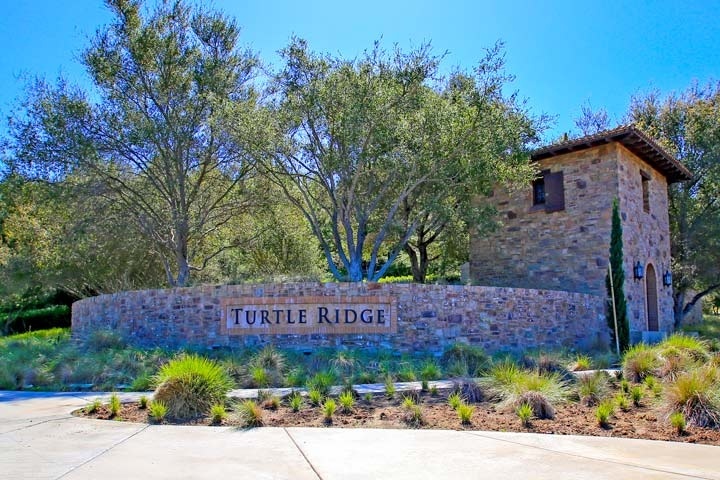 The following communities belong in Turtle Ridge: Amberhill, Arborel, Arezzo, Ashton Green, Bontanica, Canyon's Edge, Chantory, Chaumont, Citrus, Fiore, La Cima, Ledges, Mattina and Whispering Glen. Turtle Ridge homes were built in 2002 and consist of over 1,600 homes with a mixture of single family homes and townhouses. The Homeowners Association includes a nice community clubhouse, picnic and barbeque dedicated space, children's community play grounds, wading pool and Olympic size pool. If you are looking for a long term rental home for lease please visit our Irvine Rentals page. We our proud to be the Turtle Ridge Real Estate experts. Please contact us at 1-888-990-7111 with any questions about this community and any of the homes listed for sale here. Based on information from California Regional Multiple Listing Service, Inc. as of April 20th, 2019 at 1:07pm PDT. This information is for your personal, non-commercial use and may not be used for any purpose other than to identify prospective properties you may be interested in purchasing. Display of MLS data is usually deemed reliable but is NOT guaranteed accurate by the MLS. Buyers are responsible for verifying the accuracy of all information and should investigate the data themselves or retain appropriate professionals. Information from sources other than the Listing Agent may have been included in the MLS data. Unless otherwise specified in writing, Broker/Agent has not and will not verify any information obtained from other sources. The Broker/Agent providing the information contained herein may or may not have been the Listing and/or Selling Agent.